Just a two-hour drive from Manila, you'll reach Villa Escudero. 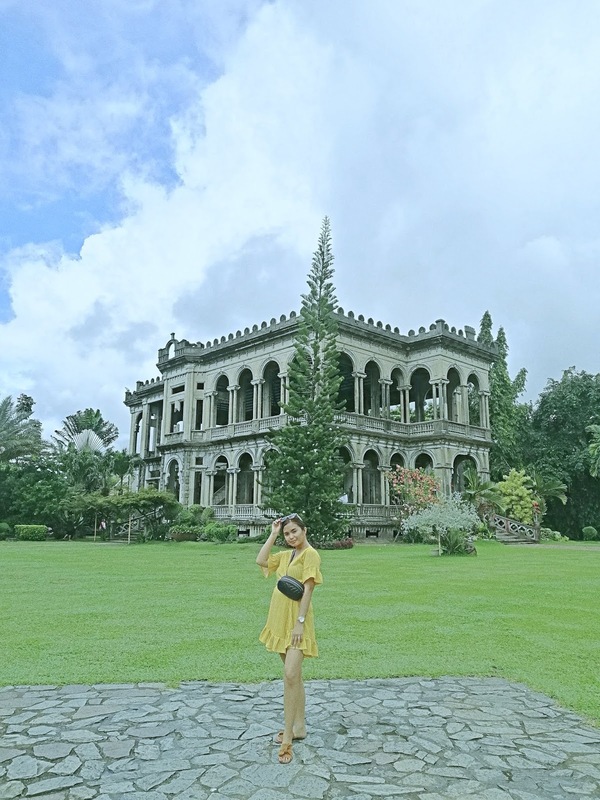 It started as a coconut plantation owned by Don Placido Escudero and his wife Dona Claudia Marasigan. It was opened to the public in the 1980s and has become a tourist destination for balikbayans and foreigners to the country. Villa Escudero showcases Philippines' culture, history, and cuisine. Last November 16, my family and I, together with our balikbayan relatives went there for a Day Tour Package. For a Day Tour Package, you will time travel because of the rustic Philippine setting. You will experience the tales of your grandmother how simple life was. Be fascinated when you walk through the Escudero Family privates museum which houses their antique collection. Enjoy the Philippine cultural show. Gauge your rafting skills on their native bamboo raft and have a refreshing dip in their swimming pools. And of course, dine on their famous Labasin Waterfall Restaurant. The Museum. Picture taking is not allowed inside. Villa Escudero became known because of its restaurant where you can sit at the foot of a waterfall while you enjoy your favorite local cuisine. This is definitely the reason why guests keep on coming back. Aside from its uniqueness, it is relaxing and refreshing. You cannot only eat but also take a refreshing bath at the falls' cold water. Feast with different Filipino dishes while soaking your feet! I highly recommend this resort to balikbayans who left the Philippines for a very long time or foreigners who want to experience Filipino culture. It is definitely worth it to give a try! Aside from Day Tour Package, Villa Escudero offers accommodations for guests who would love to stay longer and create beautiful memories in a rustic Philippines setting. To inquire about rates, availability or promo, check the link below. For a first-timer, I consider Puerto Galera a paradise. Why? When I was there it gave me activities I have never done before. This place is only a few hours from Manila and you've got to experience the thing you have never done before. My friend and I went there and stayed for 3 days and 2 night. Who would have thought that we had so much of time to do the activities. Just keep on reading because I will be sharing our Itinerary. 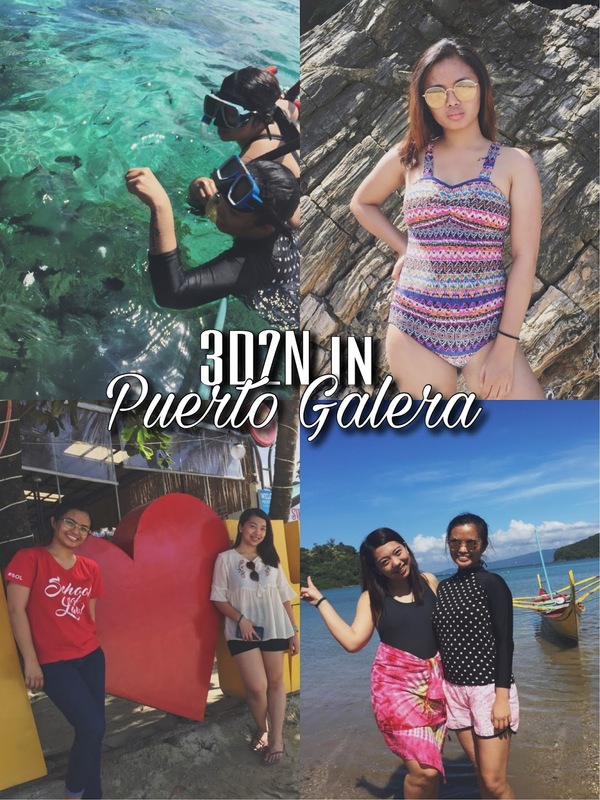 but before that, you can check my blog post for Puerto Galera Travel Guide. As you can see, we did not do much on Day 1 because we will have our activity the next day. We just had our time to feel the waves. Seriously, this is relaxing. It felt like you got no worries and left all your problems in Manila. We had our activity in the morning, snorkeling, fish feeding and going to underwater cave. On this day, we spend time at the beach but if we are not thinking of our budget, we should have taken the opportunity going to different waterfalls. If I were you, you should go on water activities in the morning and land activities in the afternoon. And, I will tell you Day 2 will be enough for all the activities. Our check-out was supposed to be 12 noon but, we were lucky that our Hotel was very accommodating. Since they let us stay until after 12 noon, we had an opportunity to see Talipanan Falls and swim by the serene beach of Talipanan. I hate saying goodbyes but our stay 3D2N in Puerto Galera gave us so much time to stay away from all our stressful life in the city and making us stay longer, but we can't because holidays are over. Til next time Puerto Galera! For people who want to experience beach party on a tight budget, I think Puerto Galera is a place for you. Located in Oriental Mindoro, Puerto Galera is only 3 to 4 hours away from Metro Manila. You have to take a bus bound to Batangas Pier/Calabarzon. There are many bus terminals bound to Batangas Pier but personally, I chose JAC Liner. Usually, these buses bound to Batangas Pier are parked near Mcdo Buendia. The fare is Php 177.00 for the aircon bus without comfort room and with comfort room, yes, the fare is just the same, you are lucky if you ride the bus with a comfort room. Travel time to Batangas Pier is 2 hours. So I suggest be there as early as 7:00 am, the bus leaves every 30 minutes or as soon as all seats are occupied. etc.) these boats will take you directly to Muelle Port or White Beach. The fare is Php 500.00 for a round-trip ticket and one-way is around Php 275.00. I suggest getting the round-trip ticket because it will be cheaper. Also, you have to pay Php 30.00 for the terminal fee. Upon arrival in White Beach, you need to pay Php 50.00 for Environmental Fee. There are tricycles to take you around in Puerto Galera. The fare will cost you around Php 100.00 to 150.00 for short distance. 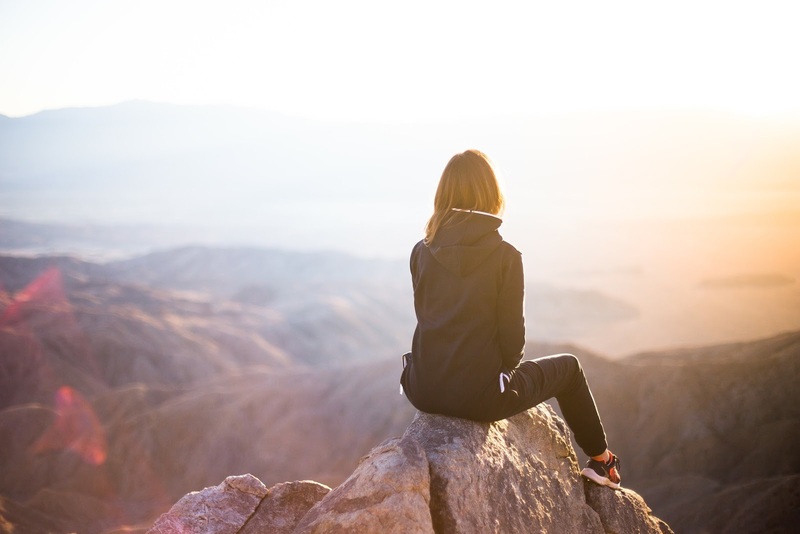 We all dream to travel the world. I want to see the beauty of our world. At my age, I have never been out of my country, the Philippines. Since I never experienced to travel, riding an airplane is one of my fear. I would consider myself as an adventurer and explorer. I would love to try new things and I want to experience other countries' culture. I told myself that I should make a step to fulfill my dream, and that is getting a passport. It was July 2017 when I keep checking on Department of Foreign Affairs' website to make an appointment. Unfortunately, all the days were full. Months passed. It was September when I got lucky. I set my appointment on October 18, 2pm at DFA Megamall. I prepared all the requirements that I will submit. 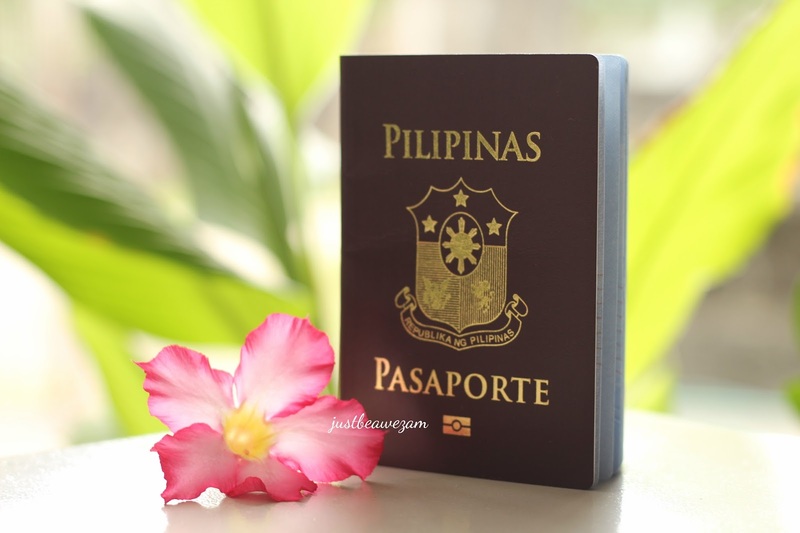 I paid Php950.00 for a normal processing which you will get your passport after 15 working days, earlier or later. There is rush processing wherein you will pay Php1,200.00. And I chose to ship because this is more convenient of receiving my passport. I paid Php150.00 for shipping. Php1,100.00 in total. After exactly two weeks, I already received my passport. Now, Zam is ready to take off!